WEDNESDAY, March 13, 2019 -- Figuring out which breast cancer patients will live disease-free after treatment is a bit of a guessing game. But new research indicates breast cancer cells hold molecular clues that may allow doctors to predict who is at high risk of having a recurrence up to 20 years later. 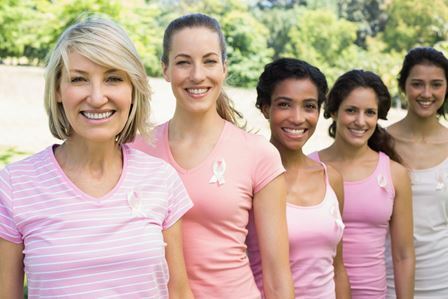 It has long been known that women who are successfully treated for breast cancer can still face a substantial risk of a recurrence years later. But there's no way to zero in on which women are at high risk, and which are unlikely to see the cancer come back. MONDAY, March 4, 2019 -- Even when women have health insurance, high deductibles may delay them from having breast cancer diagnosed and treated, researchers say. In a study of more than 3 million U.S. women with health insurance, the researchers found that those in plans with high deductibles waited several months more for a breast cancer diagnosis or treatment, versus women in low-deductible plans. WEDNESDAY, Feb. 20, 2019 -- An experimental drug has shown promise in extending the lives of women suffering from a particularly aggressive and deadly type of breast cancer, according to the results of a phase 2 trial. Right now, the standard treatment of chemotherapy for metastatic triple-negative breast cancer has not been very effective. That might change with the new drug, called sacituzumab govitecan, which combines an antibody with a chemotherapy drug to better target cancer cells. TUESDAY, Feb. 19, 2019 -- Women who have specific mutations in genes known as BRCA are at increased risk for breast and ovarian cancers. Now, an influential expert panel reaffirms that certain women should be screened for the genes. The draft recommendation comes from the U.S. Preventive Services Task Force, whose advisories often guide physician practice and insurance coverage. The guidelines -- which restate a 2013 advisory -- encourage genetic testing only for women with either a family history of breast or ovarian cancer, or an ethnicity or ancestry associated with BRCA1 or BRCA2 mutations. THURSDAY, Jan. 24, 2019 -- Breast cancer survivors struggling with common, lasting symptoms stemming from their treatments may find relief in self-applied acupressure, new research suggests. MONDAY, Feb. 11, 2019 -- Widespread mammography screening and big advances in breast cancer treatment have saved hundreds of thousands of American women's lives since 1989, a new study estimates.